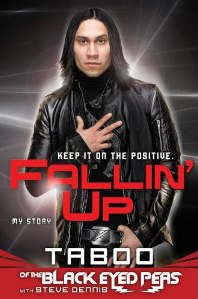 Taboo of the Black Eyed Peas will sign his new memoir, Fallin’ Up, which chronicles his youth in a gang-ridden East L.A. and his recent struggle with the demons of fame at the Powerhouse Arena in Brooklyn, NY, on Wednesday February 9th from 7:00-8:30 PM. Fans can bring one piece of memorabilia to have signed along with the book. Born in East L.A. in an area notorious for street gangs and poverty, Taboo was haunted by that environment, which seemed certain to shape his destiny. Yet, steered by his dreams to be a performer and assisted by fate, the young Taboo was thrown a rope when he discovered the world of hip hop, where talent and love of the music itself transcended all. But even after the Black Eyed Peas beat seemingly insurmountable odds and achieved stardom, it wasn’t all Grammys and platinum albums. Taboo delivers a searingly honest account of his collision with fame’s demons, including his almost career-ending struggle with drug addiction and alcoholism. Fallin’ Up gives full of intimate glances into the highest reaches of the music industry-including a visit to Sting’s castle, hanging out with Bono and U2, and, at 41,000 feet, the highest-altitude karaoke ever. 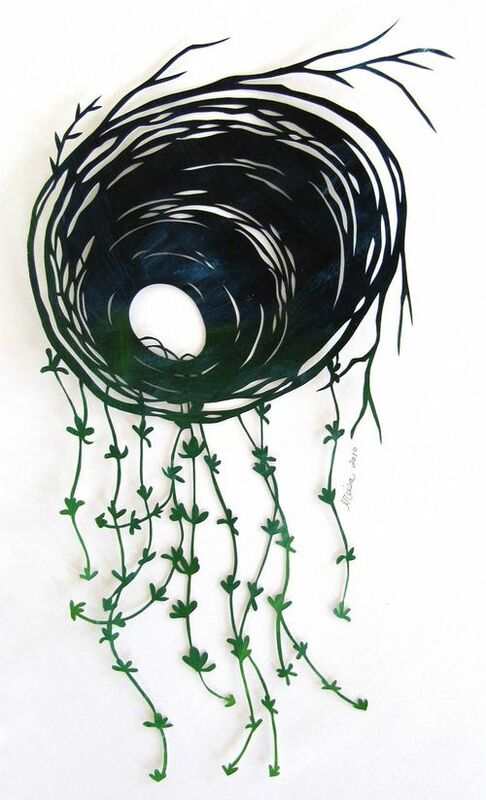 Paper cut artist Ereisa Wells Gentile crafts some delicately gorgeous paper cut scenes such as nests, forests, and pretty girls with birds or sitting under a tree. Ereisa has a degree in Psychology from The American University (where she also studied Fine Art) and a degree in Illustration from Pratt Institute. She says: My inspiration comes from nature, women, the materials I use, color, emotion, and above all, instinct. My primary medium is acrylic. I love painting on wood and have begun carving into my paintings with Japanese woodcutting tools. It is a process that I find deeply satisfying. There is something about slowly and methodically creating pattern and texture in the wood that I find soothing (and also challenging). Recently, I have discovered the joys of paper cutting. It is a natural extension of the work I have been doing as it relies solely on cutting (carving, in a way) to create each piece. 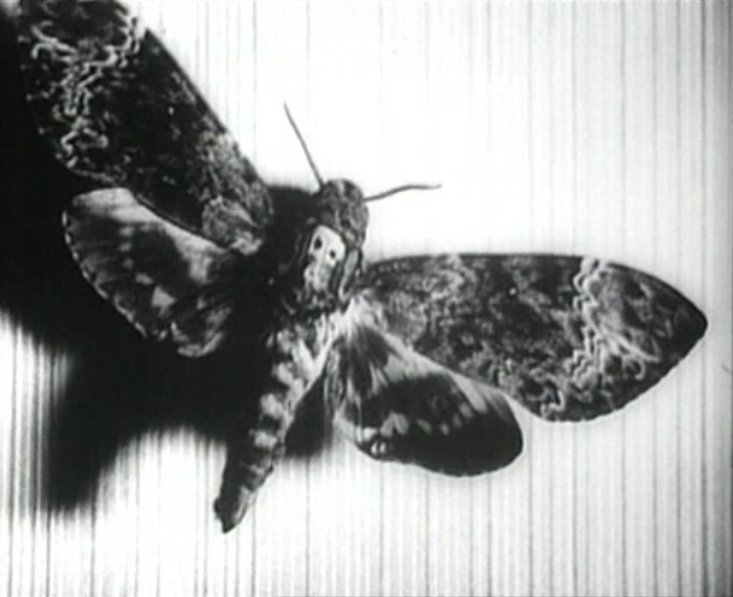 The 1929 silent film ‘Un Chien Andalou‘ (which means “An Andalusian Dog”), by Salvador Dali and Luis Buñuel, is a surrealistic mixed bag of non-related scenes strung together, that for it’s time was shocking and obscene. Ants crawling out of a man’s palm, a severed hand in the street and another with a man who suddenly starts groping a woman’s chest for no apparent reason. Does this look familiar to you? Try to think of where you have seen it before. By today’s standards, the only shocking scene is when a razor is held to a woman’s eyeball and an incision is promptly made. The word mise-en-scène doesn’t apply here whatsoever, it’s a cerebral sort of mess. Picture yourself having a dream. One instance can change drastically to the next with no rhyme or reason. You’re walking in the woods open a door and suddenly you’re in the snowy mountains. This is exactly how Un Chien Andalou plays out. This is no coincidence, for it is said that both Dali and Buñuel came up with the idea for the film after discussing some strange dreams each had had. 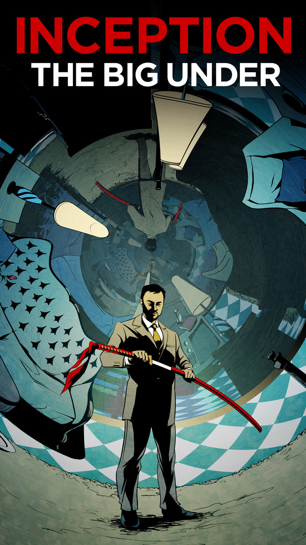 deviantART recently held an Inception Comic Cover Art Contest. In the contest deviantART asked for artists to design a cover for the comic prequel of Inception, The Big Under. The entries were sorted and the judges narrowed them down to 15 semi-finalists. From these semi-finalists, three final winners were selected by the writer and director of Inception, Christopher Nolan and with the help of his wife and co-producer, Emma Thomas! Here are the semi-finalists and the winners. Here are the 12 designs (of the 15) that made it onto the semi-finals who unfortunately weren’t chosen, but all showcase the amazing talent of the artists. Truly great work! Laura Wills is a visual artist based in Adelaide, Australia. With a Bachelor of Visual Arts and Applied Design from Adelaide Center of the Arts (2003) she practices a diverse range of media from painting, drawing and photography to installation, media arts and community projects. Wills has a strong interest in using found materials, collaboration and basing projects on social/ environmental themes. 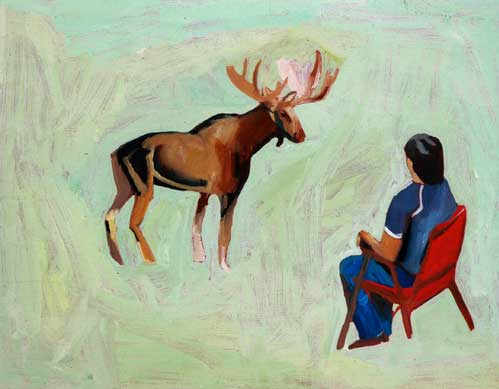 She regularly exhibits and has received numerous grants, awards and residencies locally in Australia and overseas. We want to buy a bunch of postcards for Valentine’s Day just to be able to use these cute and clever postcard stamps from illustrator Janne Harju. Alas, we don’t live in Finland, so it’s not going to happen. 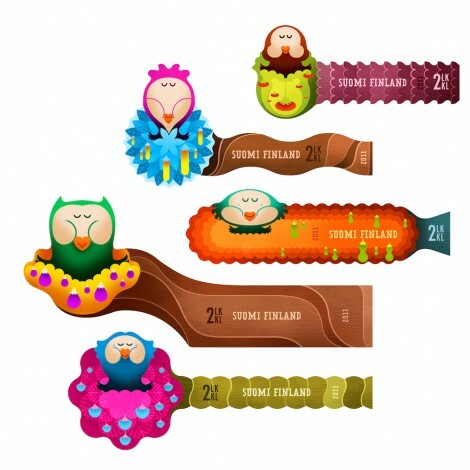 The Finnish Post will release the first new stamps of 2011 which will include a miniature sheet of five Valentine’s day postage stamps named “Ystävyyden oksalla” (Branches of friendship). So why the friendship stamps on the day of couple love? Valentine’s day in Finland is called “Day of Friends”, it’s not only about love, but also friendship. For each of Charlie Chaplain’s films, several photographers documented the filming at the request of the Chaplin Studios. These archives were owned by Chaplin, then his family. 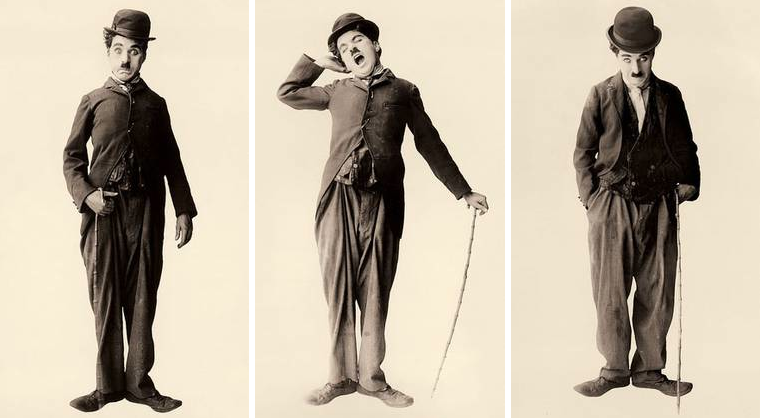 Now The Musée de l’Elysée has announced a major event: the arrival of the Chaplin Photographic Archive, a large collection consisting of approximately 10,000 photographs documenting the whole career of Charlie Chaplin.